We Offer Auto Repair Service To Lakewood, WA & The Surrounding Area! We Pride Ourselves In Our Knowledge Of General Auto Repair And Maintenance To Get Your Car Back On The Road. At D & S Autocare, our trusted technicians have years of experience on handling any auto repair and maintenance service for your vehicle. Located in Lakewood, our state-of-the-art shop is ready to serve all your car repair and maintenance needs. We pride ourselves in our knowledge of general repair and maintenance to get your vehicle back on the road. From oil changes to engine services, our professional team of technicians will make sure your vehicle is running in excellent condition for the years to come. An auto diagnostic in Lakewood doesn’t have to be stressful with D & S Autocare. We know that vehicles can be temperamental. You know your car better than anyone. You know exactly how it sounds and drives, that’s why hearing or feeling something unexpected can be a shock. Getting it diagnosed can be an intimidating prospect. Trusting the auto repair shop you bring it to is important. Lakewood residents have been trusting us with auto diagnostic procedures since 1981. It’s not just our professionalism that keeps Lakewood citizens coming back time and again. When you bring in a vehicle for an auto diagnostic, you’re getting comprehensive automotive servicing. When you need to replace your brakes in Lakewood, come to D & S Autocare. Brakes should never be set aside for another day. The Northwest weather can change in a heartbeat. Coupling windy roads and poor visibility with brakes in need of repair is a recipe for disaster. We want everyone in Lakewood to remain safe on the road. If you suspect a brake problem, or are in need of new brakes in Lakewood, don’t wait to schedule an appointment. For fast and accurate brake repair in Lakewood, look no further than D & S Autocare. Accurate brake diagnosis and brake repair in Lakewood is incredibly important. With the twisty roads of the Northwest as well as frequently poor conditions, you want brakes you can count on. That starts with the diagnosis. Our skilled technicians know how to properly diagnose a brake system. Before we perform any brake repairs we always pinpoint the problem, making sure to speak with you first. We feel honesty and integrity are the grease that keep an auto repair shop running smoothly. You should always be comfortable, informed about the brake repair process, and feel confident in your Lakewood brake repair. Worn Pads – Your brakes use pads for stopping. These pads squeeze on the rotors that are attached to your axle, slowing your vehicle down. Over time these pads and rotors can wear out. Rotors should be visibly smooth. Pads should be at least a 1/4 inch thick. Our brake repair services include replacement, which will greatly improve stopping power and auto safety. Squeals – If your brakes are squealing, you’ve likely gone through you pads entirely. This means the calipers are grinding against the rotors. Aside from leaving you with a greatly reduced ability to stop, this can lead to more expensive brake repair in Lakewood. Pulling – When you car pulls to one side, you may have an issue with your braking system. If one of your calipers is stuck, and only one brake is actively stopping your vehicle it can cause this problem. A full diagnosis will help determine if this is the case. 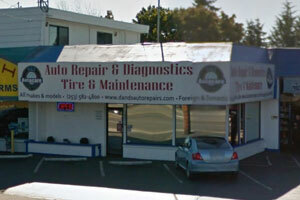 If you have a check engine light in Lakewood, come to D & S Autocare. A check engine light can mean many things. Depending on your vehicle year, make, and model, different diagnostic connectors are necessary. Sometimes a check engine light comes on to indicate a very simple repair. We always recommend you make sure your gas cap is on tightly. A loose gas cap is one of the most likely reasons for a check engine light in Lakewood. It is also the easiest to fix. Schedule an appointment at our Lakewood facility for a comprehensive check engine light diagnosis. We’ll identify the indicated problem. A highly trained technician will inspect the indicated part or area before confirming a diagnosis. For professional radiator repair in Lakewood, call D & S Autocare. When you need radiator repair, you want it repaired quickly. Our technicians have diagnosed and repaired radiators in every type of vehicle. It’s particularly crucial that a radiator repair in a performance and work vehicle are done correctly. A radiator is a vehicles primary means of cooling itself, in these vehicles it can wear out more quickly. We take extreme care with every radiator repair in Lakewood, ensuring that no matter what you drive, it receives the highest level of attention. Leaking Radiator – If you see any indication of a leak, you shouldn’t put it off. Not only is this fluid toxic to animals and humans alike, it also means your radiator is running low on a vital fluid. Radiator fluid is passed through the engine where it gets hot, and back through the radiator to remove that heat. Without proper fluid your engine may suffer. Overheating – It’s important to get a full diagnosis if engine overheating occurs. This is quite often related to the radiator, and repairs or replacement may be necessary if this is the case. If an engine overheats too much it can destroy the engine, but is preventable with timely automotive care. Pressure Drops – A corroded radiator doesn’t produce as much pressure at it should. This is easily tested with a pressure gauge by one of our technicians. If there is rust on your radiator it may also be indicative of corrosion or leak. The hot radiator fluid will cause the radiator to rust. For quality work on a transmission in Lakewood, come to D & S Autocare. Transmissions are what keeps your car shifting smoothly. When you encounter a transmission problem in Lakewood it isn’t just a minor concern. If your car shifts out of gear on it’s own it can be quite scary. We’re transmission experts. If you need transmission maintenance or transmission repairs in Lakewood our technicians can diagnose your vehicle's issue and provide full automotive repair services. We’re proud to call Lakewood our home, and grateful for the opportunity to keep you safe on the road. Transmission Fluid Issues – There are a number of things to look for when checking transmission fluid in Lakewood. ATF should be red in color. A manual transmission can use a variety of oils or fluids. These should be checked individually. If there is a leak you will often find fluid below the car. Because a transmission doesn’t eat through fluid like an engine does with oil, a leak is a major concern. It can also be determined by filling the fluid to the indicated point and checking it daily for a drop. We can repair your transmission and fix leaks. A burnt smell indicates old and burnt fluid. This should be replaced professionally for the best results. Shaking and Grinding – Your cars gears are supposed to operate smoothly. This problem presents itself in a manual with a grinding when shifting, an automatic will often hesitate when engaging or changing gears. Slipping Gears – This presents itself most noticeably in a manual. Transmissions are supposed to stay in gear, a pop out of gear can be a major safety hazard. This can be into a higher gear, lower gear, or neutral. Make an appointment with one our professionals as soon as possible if you experience this.